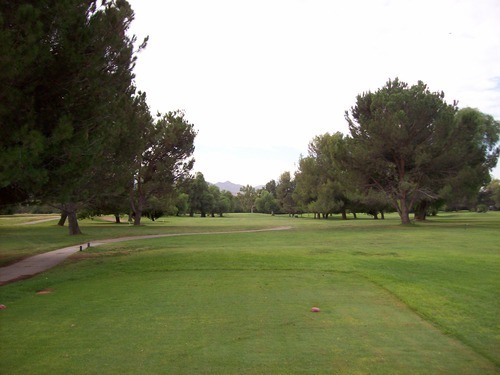 For my morning tune-up round, I settled on San Bernardino Golf Club. I use the word “settled” because this course has never been very high up on my list of courses to check out. However, it was a cheap and convenient choice, and that was exactly what I was looking for yesterday. I locked in a 7:15 time on GolfNow at a $30 rate (cart included), which was nice on Sunday morning at primetime. There weren’t too many people out there when I arrived. I could see a steady flow of groups going off on the first tee, but they were well-spaced-out and it looked like mostly twosomes and threesomes. I could tell it would be a nice relaxed pace. The guy in the pro shop checked me in. Tom (or was it Tim?) was probably the nicest pro shop guy I’ve ever run across. He was very friendly and helpful. 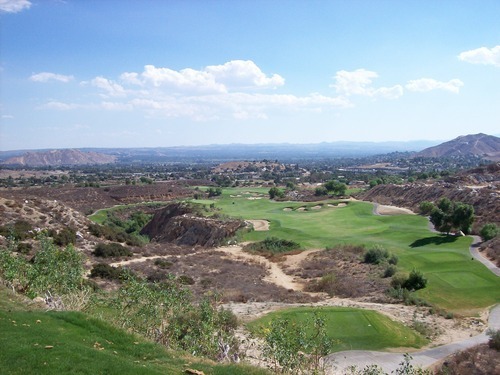 He asked if I had played there before and when I said “no,” he promptly pulled out a scorecard to walk me through some of the “trickier” holes I would face on the course. It was a very personalized touch and I appreciated this level of service. 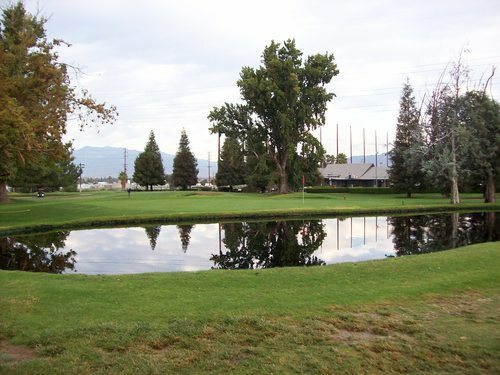 San Bernardino Golf Club has a very old school vibe. The staff is very friendly and laid back. The clubhouse is kind of a time capsule. At one time (probably the 1960s or 1970s), it was probably a cool place to be. But now that dated look has more of a quaint charm that’s rather inviting and comfortable. The walls here are adorned with old golf clubs and balls representing the history of golf from the turn of the century until now, so it’s kind of a little golf museum, as well. 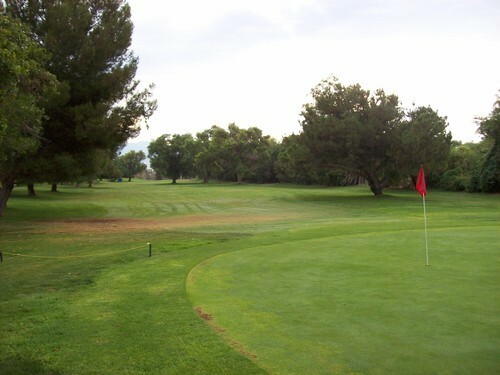 I spent some quality time here after my round as I ate a nice lunch (grilled turkey and cheese sandwich with crinkle-cut fries) and watched the PGA Tour Championship on the television with a number of other golfers hanging out in there. 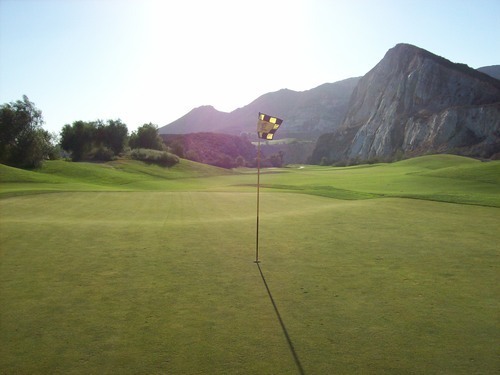 The experience of the clubhouse and staff was more interesting than the course itself. 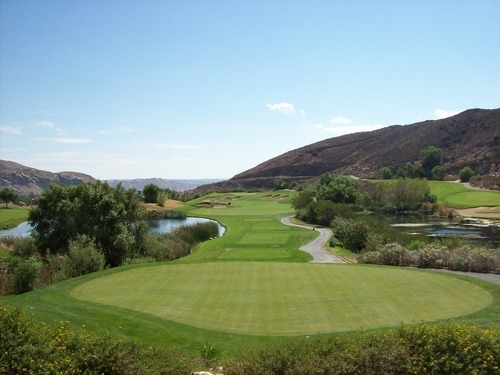 It is one of the flattest courses I’ve ever played and it’s not terribly long (just over 5,700 yards from the blue tees). 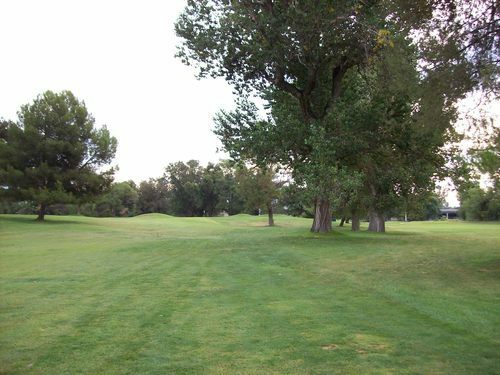 There are many trees and some OB areas along the edges of the course. These elements are what shape the holes and determine your shot angles. 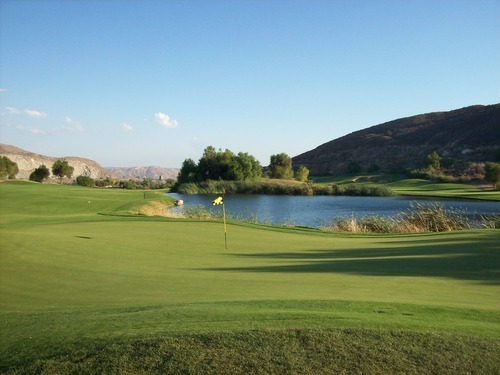 Water does come into play on a number of holes and you have to be careful on a few of them. 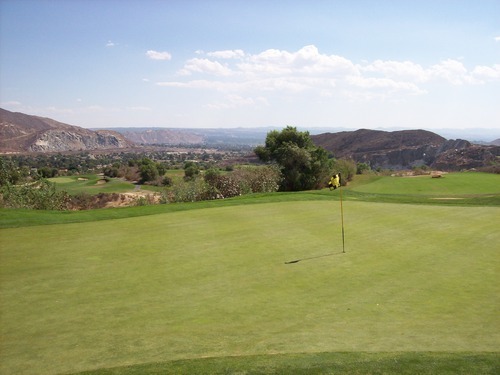 With the flat terrain, sometimes you can’t see the ponds until you are right on top of them, so be careful with your layups and be extra sure if you are thinking of “going for it” on the risk/reward holes. 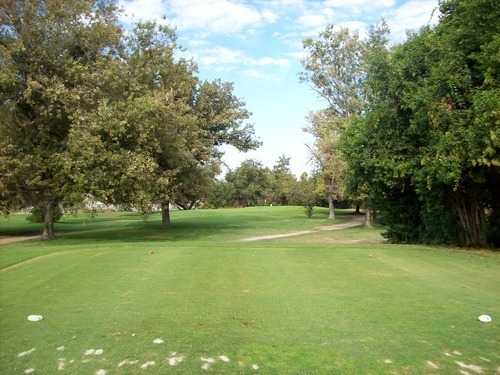 For a cheap muni course, I’d say San Bernardino was in above average shape, especially this time of year when it’s been so hot out lately. It was mostly green out there with some dead/bare/thin/muddy spots scattered throughout. Some fairways were a bit thinner and others were fluffier, but nothing affected play too much. 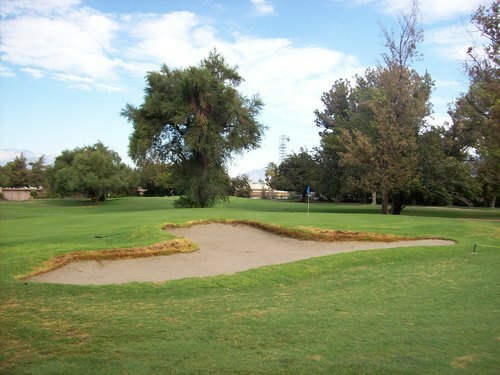 I was in one sand trap and it was very damp and heavy, so it was hard to make a judgment based on that one shot. The greens were pretty nice throughout. 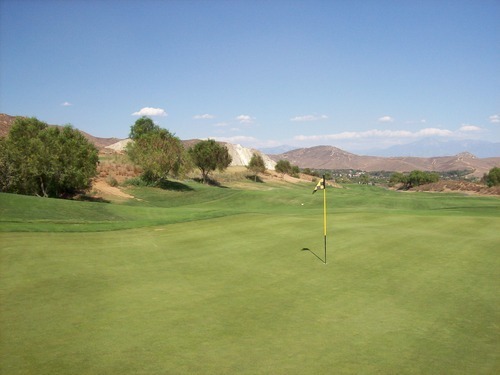 They were very soft, spongy and slow, but nice and smooth for putting. A number of them were a bit rough around the edges (literally). On the collars and outer edges of a few greens, I did notice some burnt-out spots and patchy areas, but again nothing that really impacted playability. 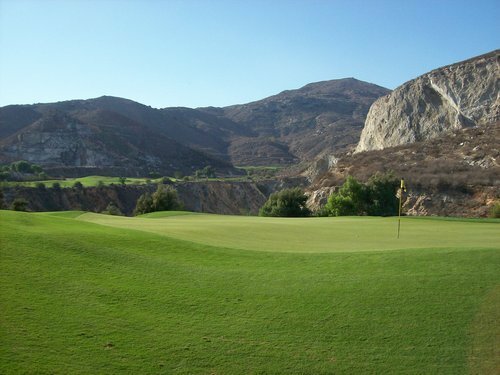 I wouldn’t go too far out of my way to play this course again because it doesn’t offer too much challenge, scenery or intrigue. 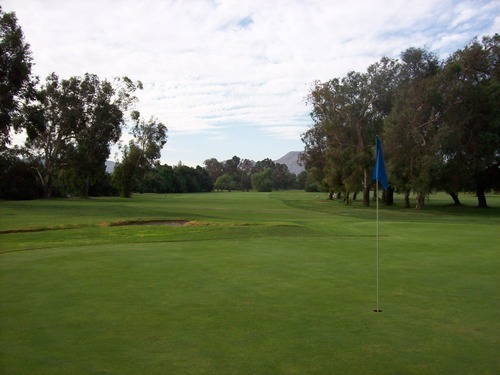 However, it’s cheap, convenient and the laid back/old school country club vibe creates a relaxed and friendly environment that you just don’t find at Southern California courses these days. 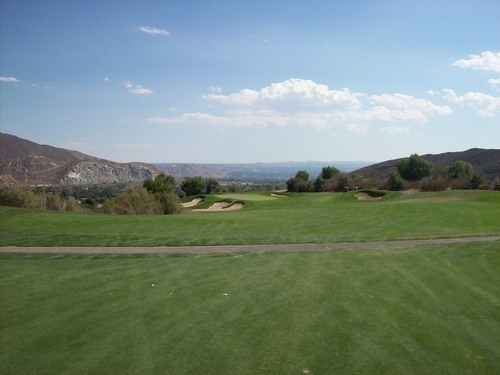 And for that, San Bernardino Golf Club ultimately left a positive impression on me. 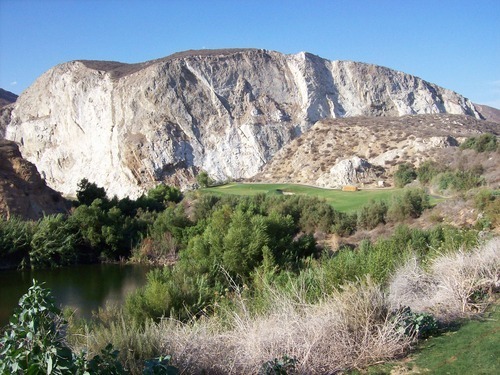 Oak Quarry is widely regarded as one of Southern California’s top golf courses. I actually played here once quite a few years ago. I absolutely loved it back then and my feelings have not changed since playing it again yesterday. This is such a unique, fun and challenging course that easily lives up to the hype. 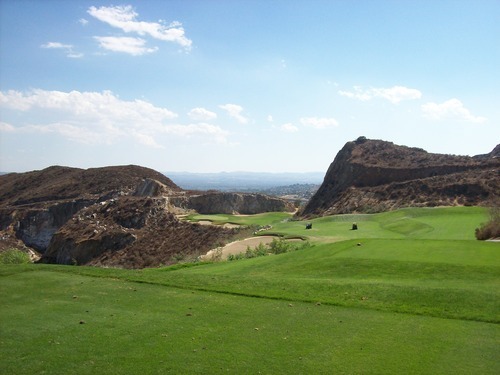 It’s built in the remains an old rock quarry and the Schmidt-Curley team used that history and landscape to craft a beautiful course that winds through the big rock faces, boulders and hilly canyon terrain. 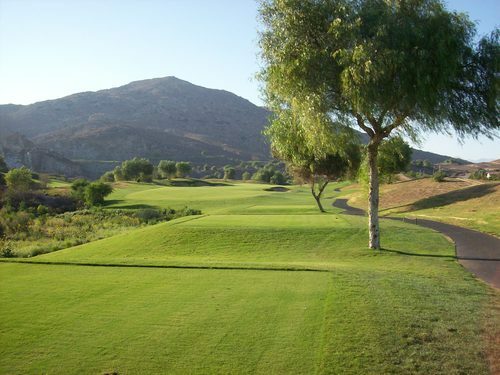 There are a ton of elevation changes, forced carries, and undulating fairways and greens. 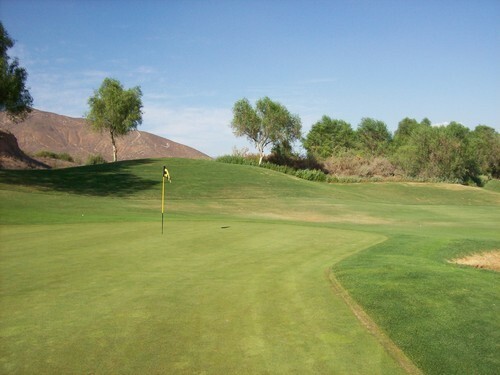 There aren’t too many flat lies out here and you should try to avoid the sand traps as much as you can. The greenside bunkers feature very deep faces and most of them are lined with thick rough. 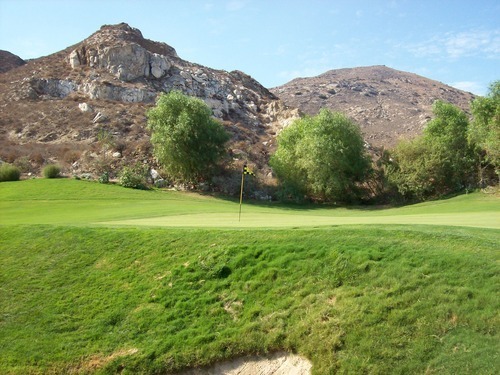 The bunkers are tough enough to escape, but if you hit it into that deep stuff on the lips you will definitely wish you were down in the sand! There are a few signature holes here, but the ones that always stand out for most people are the par-4 4th and the par-3 14th. 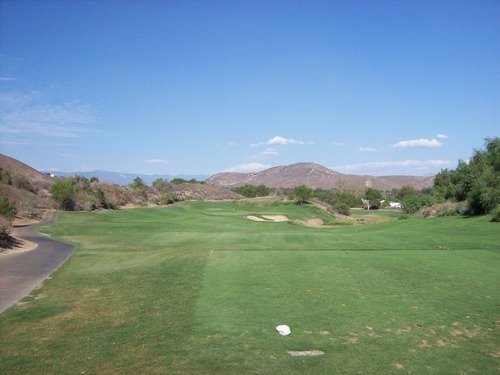 The 4th hole is a short one with some good risk/reward options. The tee boxes are severely elevated and the hole is kind of a banana-shaped dogleg left. For most it’s a lay-up off the tee, but there is some bailout right short and right of the green if you really want to bomb it out there. 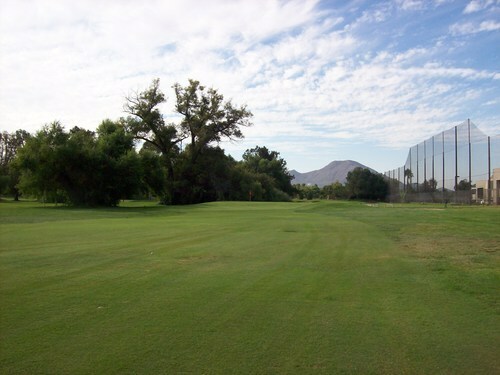 It does get super narrow in between the corner of the fairway and the green, though, so there isn’t much room for error. 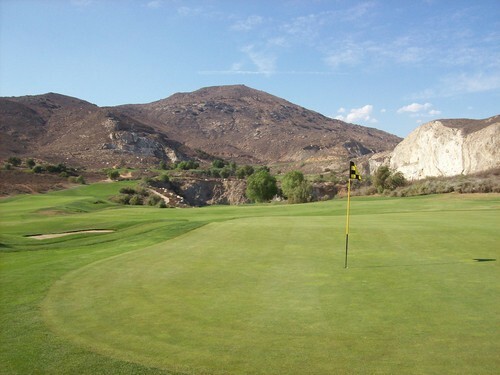 The green itself is a true standout with a rock wall cathedral behind it. 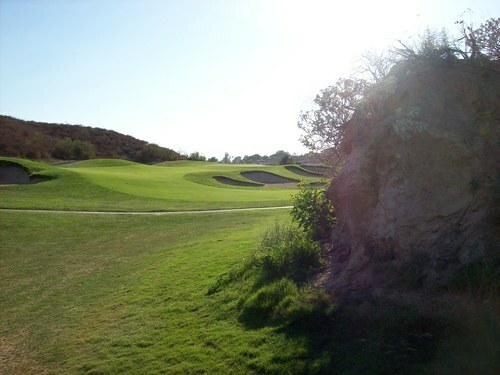 The 4th is probably my favorite hole on the course, though most would single out the 14th since that is one of the most talked about par-3 holes in all of Southern California—and it’s easy to understand why. Its nickname is “Spinel Slide” (spinel is a type of gemstone—all the holes at Oak Quarry are named after some stone or mineral). It is definitely one of the most beautiful—and intimidating—holes you’ll find anywhere. 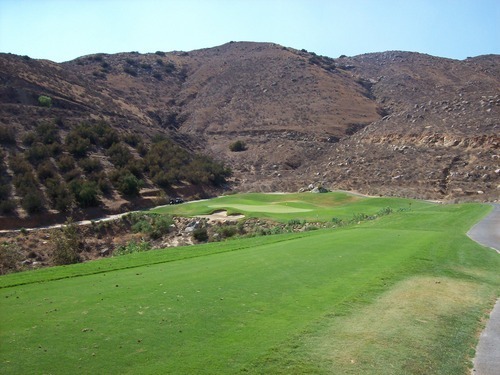 It’s a downhill shot (ranging from about 170 yards to 215 yards depending on which tee you’re playing) to a well-protected green. There’s a deep hazard (the old quarry pond) all along the left side and behind the hole. 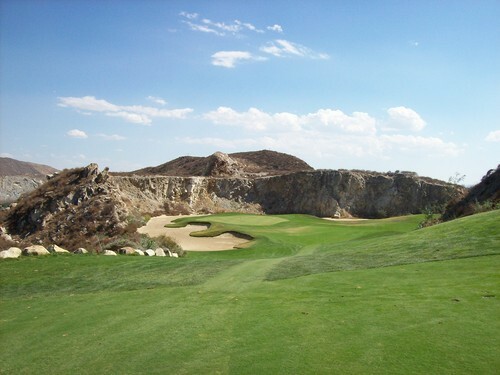 There are massive steep rock faces surrounding the hole on all sides, which creates such a memorable setting for a golf shot that will make your knees wobble a bit while standing on the tee box. There’s a nasty bunker guarding the green from the front (which you can’t see too well from the tee) and the only real bail-out room is short and right. 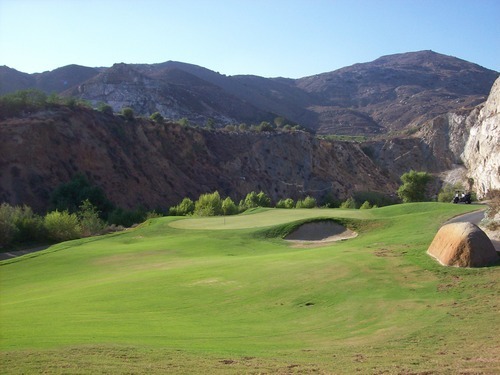 With the winds often swirling in that canyon, it’s a beast of a hole, but it sure is pretty to look at. 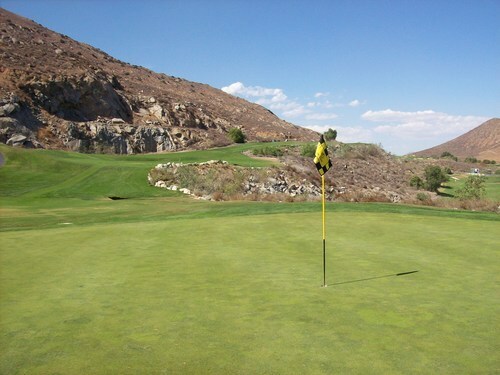 The course was in excellent shape all around. 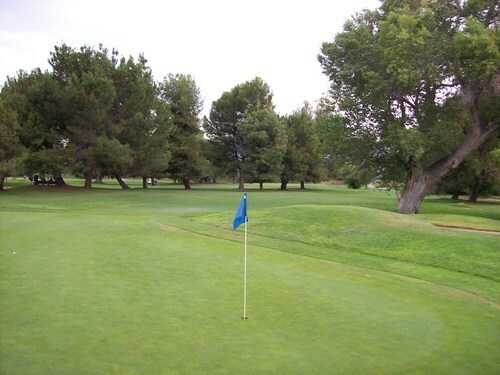 The fairways were green and lush. There were so many perfect fluffy lies I was loving it. The rough was nice, though there were some thin spots here and there (mostly as you got closer to the environmental/hazard areas, which is to be expected). The greens were very nice and were running at medium speeds, but very soft and receptive on approaches. They did get a bit bumpy from spike marks as the day went on, but that’s nothing too surprising for the late afternoon here. I was in a number of the aforementioned sand traps. The one fairway bunker I was in was super crunchy, but that was ideal for a long bunker shot. The greenside bunkers I was in were nice and soft enough to get clear of the deep faces. 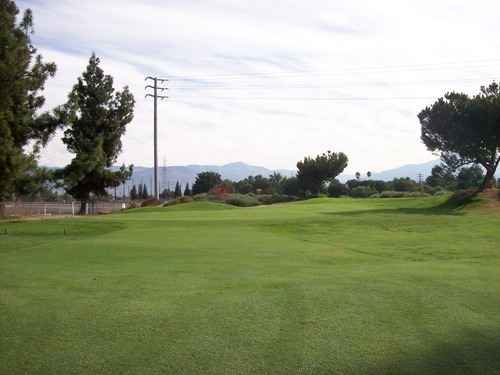 I played out here with the LA Golf Group and we had a lot of fun, as always. 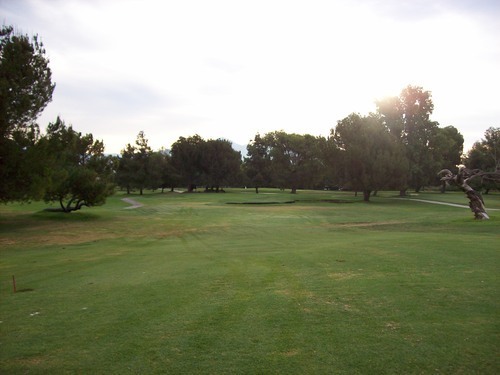 We were able to get a group “twilight” rate here, even though we teed off a little earlier than their twilight time. It was still $65, which does seem a bit too steep for a late afternoon round, but this course is worth paying a little extra for. Even though it was hot out there today, I had a blast on this gem of a course. Next time it won’t be so long in between rounds here! 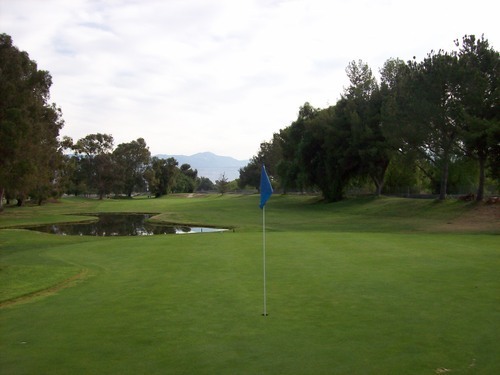 One last thing to note on my rounds Sunday is the fact that San Bernardino Golf Club represents the 249th course that I’ve played in my lifetime. 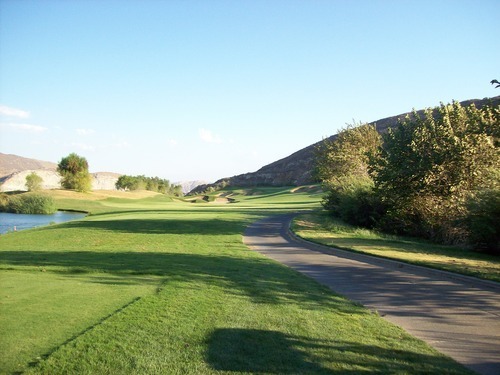 Oak Quarry would not be considered a “new” course to me since I played it once before, so that means that the next new course I play will be the illustrious #250. With that in mind, I have some special plans for later this week, so stay tuned to the blog. I will be taking another mini road trip up the coast and will hopefully be able to post some stories and pictures from the road as I play what are supposed to be some really great courses. 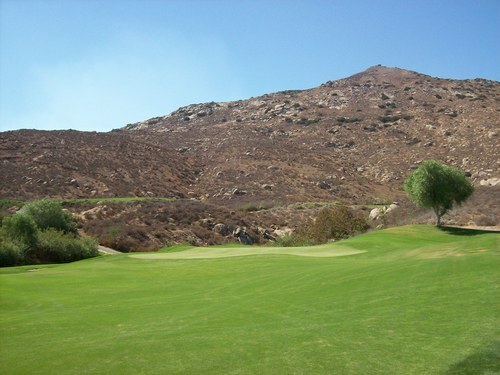 I’ll ultimately end up in Nipomo, where I’ll be playing in another Greenskeeper.org event on Saturday at Monarch Dunes. It should be a fun time as I pursue number 250 (and numbers 251, 252 and perhaps even 253).